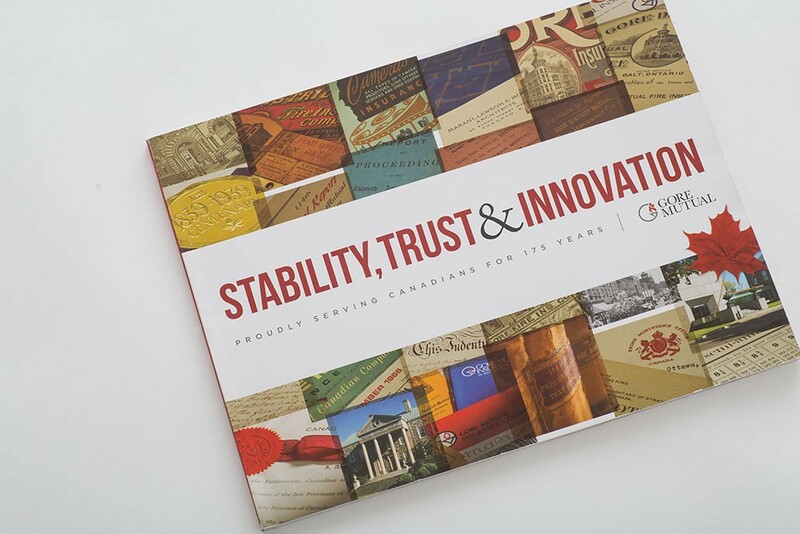 An anniversary, legacy and marketing book and related marketing material that beautifully captures the story of protection, service and strategic entrepreneurship with long-term vision that is Gore Mutual. 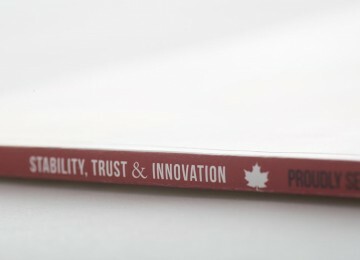 By focussing on the people that have shaped our company over the course of 175 years – from our founders’ passion for protecting Pioneer Canadians from the peril of fire, through our first traveling agent serving customers from the back of his horse, to our dedicated current employees who continue to live out their legacy of commitment, concern for our community and personal service today - Dr. Frisse and the team at Historical Branding Solutions created a record that truly conveys our values and the legacy of Gore Mutual in a tangible and inspiring way. 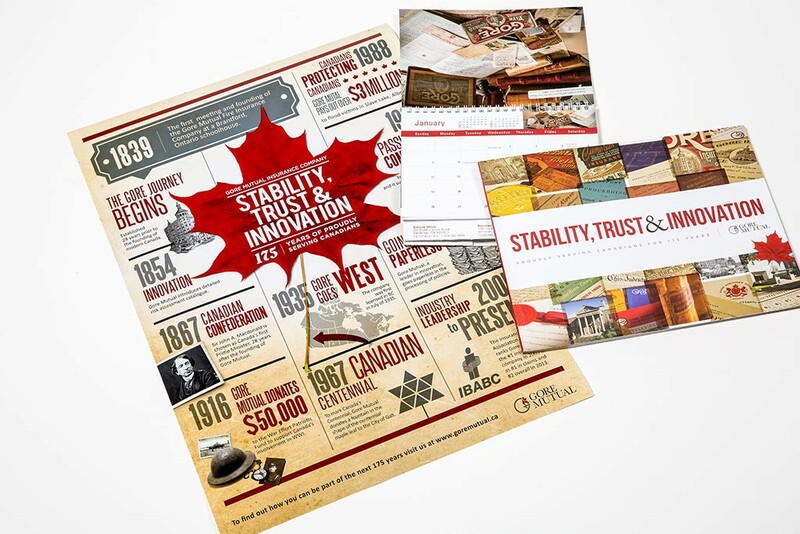 When Gore Mutual approached us a year prior to the company’s 175th anniversary, we instantly realized that “Truly Canadian” would be the perfect theme for showcasing its fascinating story as Canada’s oldest continuously operating mutual insurance company. 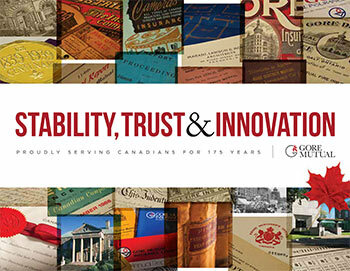 In what appeared to be a unique twist and challenge, Gore Mutual is a company with a great history, yet it is not an “old business”. 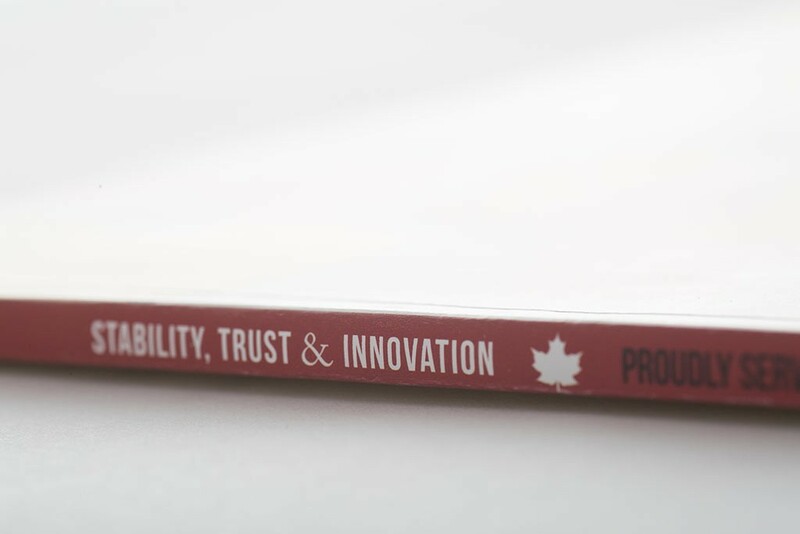 To the contrary, it is dynamic, cutting edge and innovative; a company that continues to move forward as a market leader in the Canadian insurance industry. 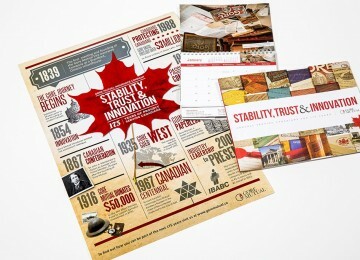 With its 1839 founding date predating the birth of Canada as a modern nation by 28 years, the story of Gore Mutual is deeply embedded in the grand narrative of Canadian history. To fully capture the company in its own and wider Canadian context, we researched the Gore company archives and various community and public archives for four months. 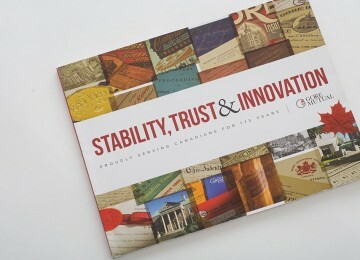 Interviews with past and present employees, board members and executives added a variety of more contemporary perspectives. Sharing our findings at various stages through employee and broker newsletters, industry publications and the media spread excitement and engaged employees, broker partners, and the community in advance of the actual anniversary. Multiple full day photo shoots with artefacts and documents from the Gore archives produced the fascinating imagery used in multiple content applications.